Beautiful, functional and completely safe, the Cheviot Smoke Grey Automatic Ottoman Storage Bed offers both an incredibly amount of storage space along with a stunning appearance. Operated automatically, the ottoman features a host of technological marvels for improve user safety and help sleepers rest with ease. 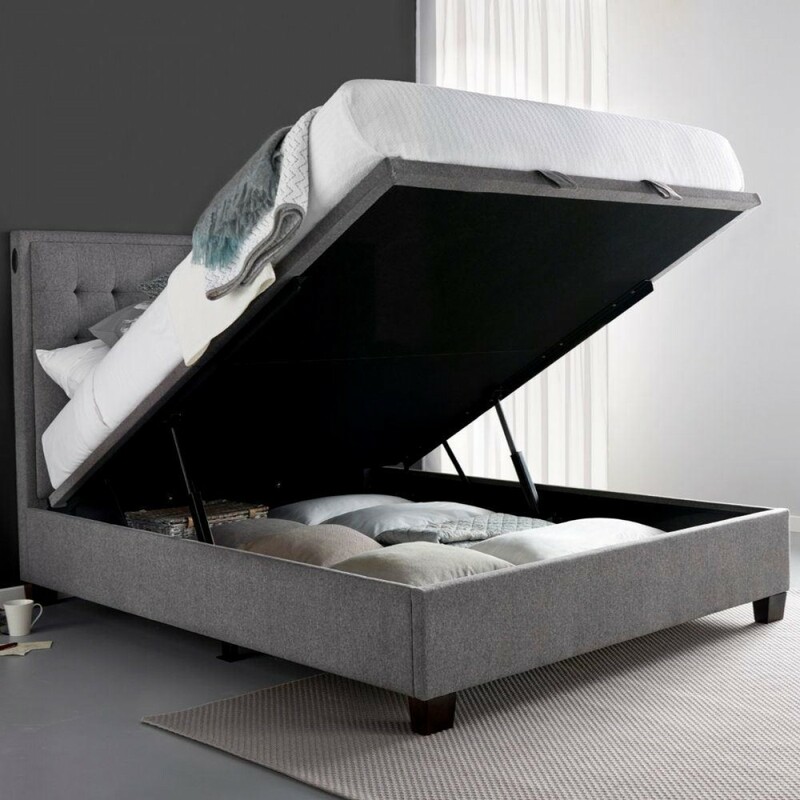 All the more apt for those with ungrounded fears of ottoman beds, the Cheviot Smoke Grey Automatic Ottoman Storage Bed utilises technology to ensure sleepers that the ottoman storage capacity is both spacious and easily accessible. Weight limiters prevent the ottoman section to rise when sleepers are present, and if somehow someone was under the bed when it closed there's an illuminated escape button. Clad in an utterly beautiful grey fabric, the Cheviot Smoke Grey Automatic Ottoman Storage Bed is upholstered entirely in this soothing material while the headboard features buttoned padding for an extra degree of contemporary style. Also present are hardwood block legs, both for form and function. Created with a solid ventilated platform base, the Cheviot Smoke Grey Automatic Ottoman Storage Bed is able to support essentially any kind of mattress. Made simple for the sake of home assembly, the Cheviot Smoke Grey Automatic Ottoman Storage Bed arrives flat packed with easy to follow, comprehensive instructions.